New York has some great advice for all of its frozen, snowbound residents: Get in a sunshine state-of-mind and head south for a Florida Keys vacation. This destination is a great place to beat the winter blues—in a freewheeling, fun-loving, laid back, totally chill kind of way. While it might seem unimaginable during the winter months, New Yorkers can actually spend the day at an undersea park. John Pennekamp Coral Reef State Park envelops 70 nautical square miles covered with mangrove swamps, tropical hammocks, coral reefs and unique marine life. View the underwater playground from a glass-bottom catamaran or dive in for a snorkeling or scuba adventure. Extraordinary beauty surrounds the park—explore it on foot during a hike or take to the water and see the wonders of nature during a kayaking excursion. The park also provides shaded picnic areas for lunch breaks and snack time. When marine animals are in need of a permanent home, they’re sent to Dolphin Research Center. Those living here have been rescued, rehabilitated at other centers or have been deemed unable to be released back into the wild by the federal government. The Research Center is dedicated to researching, teaching, learning and caring for aquatic life in order to promote harmony between these fascinating creatures and humans. A shining example of this coexistence is the swim with the dolphins encounter, where guests can get up close and personal with a dolphin to better understand its beauty and intelligence. 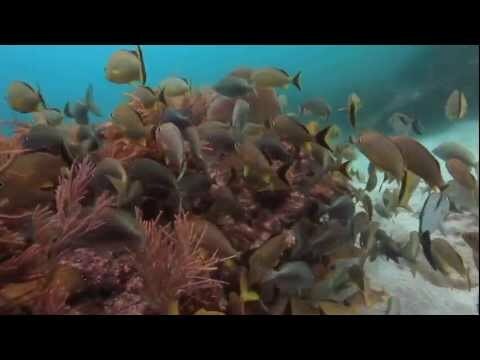 Marine life in the Florida Keys is second to none. And the Theater of the Sea offers exciting interactive programs that allow visitors to participate in activities that raise awareness about animals as well as looking at how conservation practices impact the environment. Here, kids can meet and paint a picture with Bella the sea lion. For a real hoot, it’s a wise decision to visit Rambo, the great horned owl. Other inhabitants include Alley the American alligator, Igor the American crocodile and Henry the sea turtle. Theater of the Sea is a must-see marine mammal adventure during a Florida Keys vacation. Here’s a fish story that’s actually true: Key West, Florida has more world-record catches and the widest range of fish species than any other place on the globe. With stats like that, you’ll want to charter a boat for a day of exciting deep-sea sport fishing. Year after year, the crew at SeaClusion has helped anglers reel in the big one from their 46-foot Bertram Sportfish Boat. They use techniques like Troll Dead Baits and Troll Live Baits, Kite Fishing on a Drift or at Anchor. Even Vertical Jigging and Live Bait Drops on Wrecks. Some of the great catches swimming in the waters near Key West include Snapper, Grouper, Mahi Mahi, Sailfish, Tuna, Tarpon, Marlin, Kingfish, Wahoo, Ling and Lumberjack. Full, half-day and custom charters are available. Each boat has an Anglers Lounge with a refrigerator to keep lunches cool and ice beverage cooler in the cockpit. You may not want to cross paths with an alligator, but this reptilian predator sure does look less ferocious in a salad. Known for being tender with a mild taste, the gator is a popular choice for those seeking a protein-filled exotic treat. Sink your teeth into some Louisiana Gator Bites at Hogfish Bar & Grill during your Florida Keys vacation. Want to get as far away from the winter chill as you can? Then make sure you pay a visit to the Southernmost Point in the Continental United States. It looks like a great big buoy but it’s actually a well-anchored cement structure alerting visitors to the fact that Cuba is just 90 miles away. Also proudly displayed is the logo for The Conch Republic. This goes back more than 20 years ago when laid back Key West decided it would secede from the good ole US of A. Don’t forget your camera, because this is a great photo opportunity to share with all your friends who are shoveling snow instead of soaking up the sun.